Do you want to build a snowman or in this case paint or create a snowman? 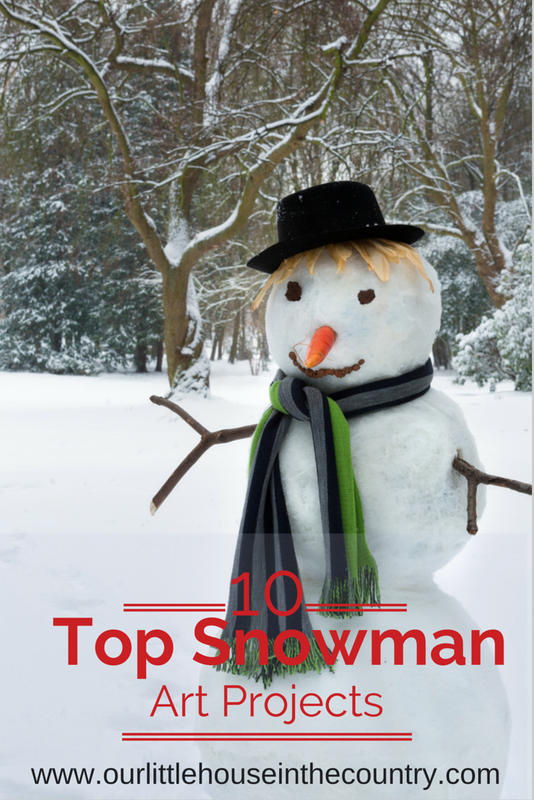 Then take a look at these 10 gorgeous Snowman Art Projects. 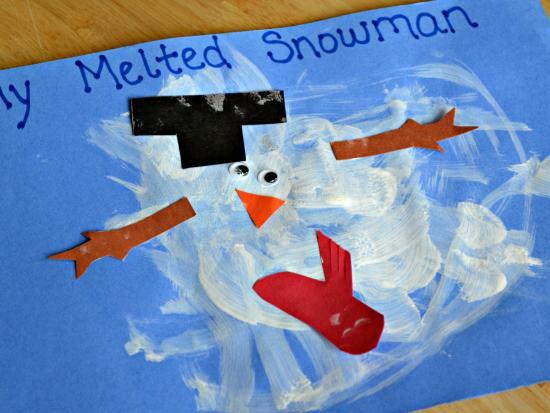 Melted Snowmen: This is such a clever painting idea from Tina at Mamas Like Me, perfect for preschool or early primary school aged kiddies. 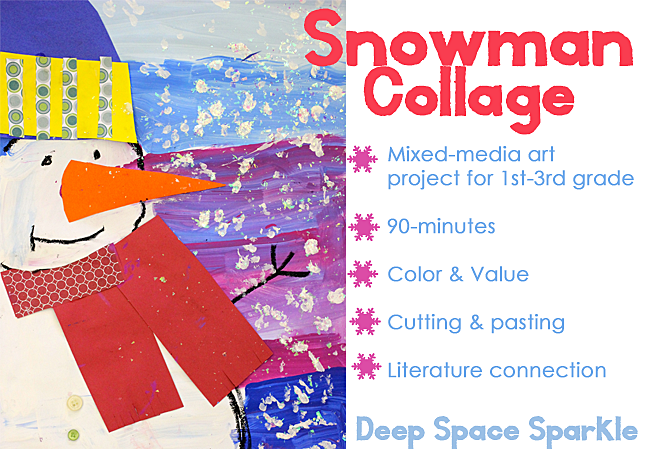 Snowman Collage: this mixed media project from Deep Space Sparkle is wonderfully colourful and creative, making use of painting and wide variety of paper and collage materials. Snowman Scoops: I love this fantastic idea from Exploring Art: Elementary Art, the snowcones are so creative and unique – a really fun classroom project! Snowglobes: this is the type of activity that makes me miss the classroom occasionally – I know that we would have a lot of fun creating fantastic snowman snowglobes like these ones from Art with Ms Gram. Snowmen at Night Chalk Pastel Drawings: Inspired by the book “Snowmen at Night” this truly beautiful project from A Faithful Attempt is magical, a must try for slightly older kids. Ariel View Snowman: this is a super project to teach children about perspective. 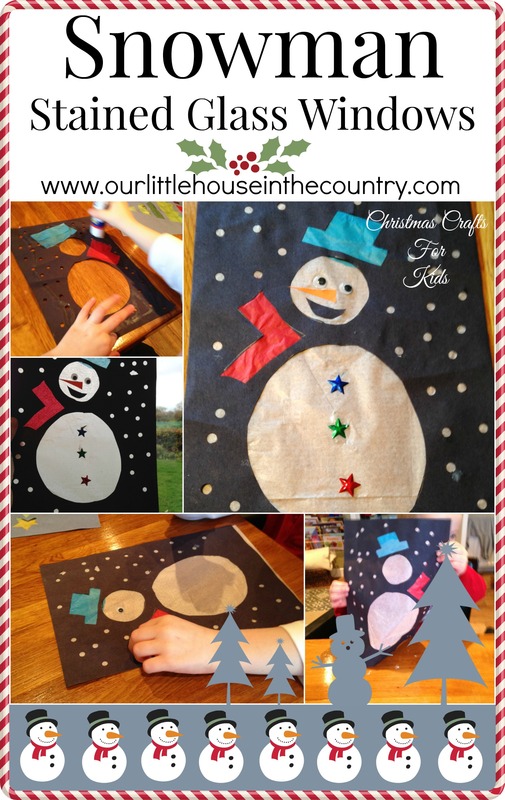 This is a super but unusual take on painting snowmen found over on Tiny Art Room– I love this! Oil Pastel Snowmen: This is another great idea for older children, using oil pastels to great shhde and shadow. I found this lovely activity on a blog called For the Love of Art. Frozen Inspired Olaf Snowman: We couldn’t have a snowman post without our favourite little snowman – Olaf. I love this collage activity for younger kids from Jessika Reed Studios – perfect for keeping preschoolers busy! Snowman Collage: What caught my eye about this snowman collage was how colourful it was! I love the use of coloured tissue paper for the background. This is a perfect activity for early primary/elementary classes from Learn and Grow Designs. Stained Glass Snowmen: We did our own stained glass snowmen recently but I also really love these little guys from Glued to My Crafts. Here’s our own snowman project – Snowman Stained Glass Window! Have fun! Cute Ideas! Thanks for the link to my Olaf! 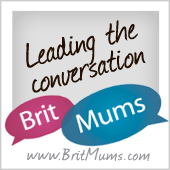 Pingback: Do You Want To Build A Snowman Craft?